I am pretty sure up until right now you are still suffering LSS from the new viral song called Pen Pineapple Apple Pen or PPAP by a Japanese comedian and songwriter named Piko Taro. Don't worry I also do, the song is just addictive and kind of hard to get out of the mind so easily. Right now more and more people are being infected by this crazy good song and more and more YouTubers and netizens are doing their versions of the the PPAP song on their respective social media accounts. And of course it's not just the song itself that made it viral, the dance steps it accompanies as well that is performed by the same Piko Taro. 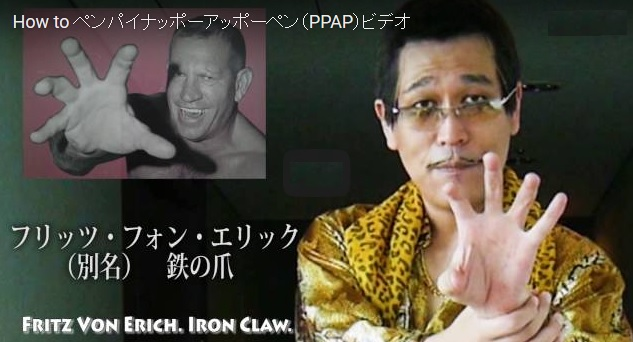 So for people who would like to learn the PPAP dance steps, Piko Taro just released a new video on his YouTube channel giving a tutorial on how the PPAP dance is done. Watch it below.